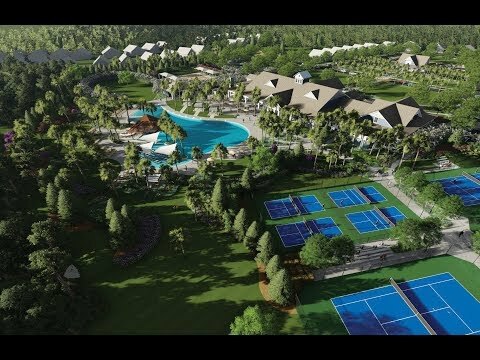 Within the private gates of Del Webb Charleston at Nexton, residents will enjoy amenities like indoor and outdoor pools, pickleball and tennis courts, a state-of-the-art fitness center, clubs and hobby groups. In addition the community is located within Nexton—named the 2015 “Best Master-Planned Community” by the Charleston Trident Homebuilders Association. Explore Del Webb Charleston at Nexton so you can see the beautiful community and resort-style amenities. We believe you’ll like it here. A more traditional layout, the Noir Coast has a well-defined kitchen with a view out toward the front of the single-story home. Open kitchen with large center island, tile backsplash, stainless gas appliances & seating area to visit with friends. Bright and open gathering room with super sliders to connect the screened in porch. Bright and spacious owner's suite with tray ceiling, decorative lighting and views of the rear yard. Owner's suite bath with walk-in subway tile shower, white cabinets, double sinks and quartz countertop. Spacious guest bedroom off the loft with decorative lighting. Bright guest room with room for your guests to relax. Guest bath with tub, oil rubbed bronze fixtures and white cabinetry. Versatile loft perfect for movie nights or as a guest retreat. The Steel Creek has a single-story open layout with a formal entryway and three different dining areas, including a breakfast nook. Airy gathering room open to kitchen and dining area are perfect for entertaining guests. Spacious owner's suite with tray ceiling with contrasting paint color and detailed molding on the accent wall. Owner's bath with walk-in tiled shower, large walk-in closet and cream cabinets and granite countertops with two sinks. Spacious loft with space for a sectional couch and room to relax and watch a movie. Private study or office with special molding details makes staying organized a breeze. Large sunroom off of the kitchen offers a great flex space to accommodate the pianist with room for a baby grand piano. Spacious guest bedroom offers your visitors a retreat like room accented by decorative chandelier light fixture. Guest bedroom with lots of natural light and decorative light fixture. The Taft Street lends itself to entertaining. Enjoy a covered porch, warm gathering room, cozy den, and kitchen with backyard views. The Castle Rock’s open foyer and many gathering areas – plus an open and inviting kitchen – inspire you to entertain. Cook's kitchen with large corner pantry, quartz countertops, decorative pendant lighting and stainless appliances. Sunroom with super slider door connect the screened porch and are a great place to visit with friends or read a book. A cook's kitchen with large center island with seating complimented by gray cabinets and stainless appliances.